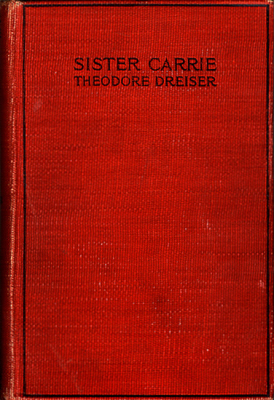 Caroline, or Sister Carrie, as she had been half affectionately termed by the family, was possessed of a mind rudimentary in its power of observation and analysis. Self-interest with her was high, but not strong. It was, nevertheless, her guiding characteristic. Warm with the fancies of youth, pretty with the insipid prettiness of the formative period, possessed of a figure promising eventual shapeliness and an eye alight with certain native intelligence, she was a fair example of the middle American class—two generations removed from the emigrant. Books were beyond her interest—knowledge a sealed book. In the intuitive graces she was still crude. She could scarcely toss her head gracefully. Her hands were almost ineffectual. The feet, though small, were set flatly. And yet she was interested in her charms, quick to understand the keener pleasures of life, ambitious to gain in material things. A half-equipped little knight she was, venturing to reconnoitre the mysterious city and dreaming wild dreams of some vague, far-off supremacy, which should make it prey and subject—the proper penitent, grovelling at a woman’s slipper.